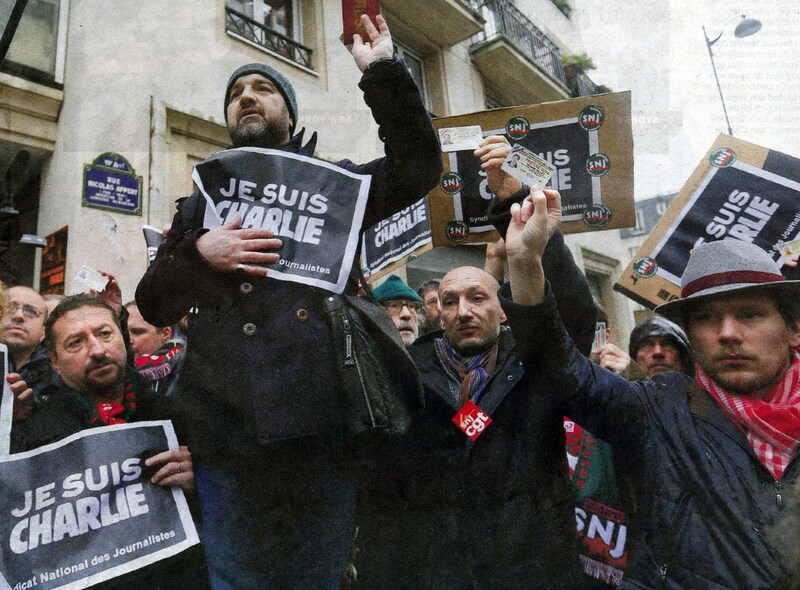 Over at Times and Seasons, Walter van Beek has an article in which he shares one of the most popular reactions to the murder of 12 at the headquarters of the French satirical magazine Charlie Hebdo: We are all Charlie. He’s getting some pushback in the comments. I’m torn. On the one hand, I agree very strongly with the commenters who are pushing back. Charlie Hebdo was, by my standards, a vile and disgusting publication. I do not wish to identify myself with it. And yet I wish very much to identify myself with the principle of free speech, and also express some solidarity with those who are reeling in the wake of this traumatic event. Is there a way to do both? Mormons have our own perspective on this, especially given the overwhelming popularity of The Book of Mormon musical. It’s long been fair game in the United States and elsewhere to make comments about Mormons that one would never make about most other religious groups. We don’t generally enjoy these kinds of attacks, but we don’t protest them either. We tend to just make the most of it and get on with our lives. As a Mormon, I support the right of Trey Parker, Robert Lopez, and Matt Stone to publicly deride and mock my faith. But it doesn’t mean I have to identify myself with them. Two of those killed, 42-year-old Ahmed Merabet and 49-year-old Franck Brinsolaro, were police officers…Merabet was himself Muslim. Merabet, then, died at the hands of one of his own — albeit its fanatical and dangerous minority. It is especially and darkly ironic given that the gunmen allegedly shouted, “We have avenged the Prophet Muhammad.” The name “Ahmed” shares linguistic roots with “Muhammad,” and the prophet was sometimes referred to as Ahmed. He gave his life to protect Charlie Hebdo’s right to ridicule his religion. I hope it is not assuming to much to presume that he wasn’t an avid fan of Charlie Hebdo, but was just there doing his job.